It’s not always easy to find out which platform or technology powers a website or an application. WordPress, for instance, has so many great features that it’s hard to imagine all the possibilities it offers. Therefore, in this collection, I’ll show you 14 websites you probably didn’t realize were actually built with WordPress. Let’s get inspired by the beautiful designs and amazing websites that were created with WordPress. Tobias is a pretty well known and greatly respected designer. For a long time, he has been sharing insightful articles about design theories, career, and more. Today, these articles are available on his website that looks really good. I especially like the personal style of the design. It clearly shows that WordPress design doesn’t have to follow a cookie cutter approach at all. Icon 54 is a large icon repository that sells all sorts of high-quality icons. The most interesting thing about their website is that it’s mainly black and white which is a huge plus for accessibility. They use a great layout with well-formatted sections for different content types. Their typeface choices were excellent, too. I love the big and bold headings they use throughout the design. Most importantly, the site is built with WordPress as well. Antenne Books is an independent publishers’ distributor. They sell all sorts of beautiful books published by a variety of authors on numerous topics. Not only the books they are selling are presented well, their website design is also fantastic. Unlike most bookselling websites nowadays, it’s quite colorful and bold. It’s an awesome example of what is possible when you get creative with your design. WordPress is a flexible and easily customizable platform. This is just one example of the possibilities you can achieve with WordPress. When I first landed on Les Partisanes, I was immediately impressed. The design is simple and clean. It’s calm, nice, and inviting. I like that there is so little clutter if any at all. I also like the subtle animations that appear as you scroll down the home page. They are shown only once, not every time you scroll up and down, which is a really nice design detail. This is a place for mobile photography lovers. Moment Lens is a small add-on lens for your mobile phone. It aims to improve the capabilities of your camera on the go. It’s a neat little gadget. They also sell phone accessories such as cases, straps, and lens caps. Vers sells beautifully crafted speakers, both from a design and an engineering perspective. The company believes in high-quality design, therefore they use outstanding materials such as gorgeous reclaimed wood. The website of Vers is beautiful as well. You can clearly get a sense of their craftsmanship from the way they talk about their products. They focus on the materials they use, the users’ experience with the speakers, and the quality of the audio sound. It’s not a complicated website but works very well to get their message across. ALLT sells amazing and stunning home items. They sell small items such as stone rings made of granite or quartz. 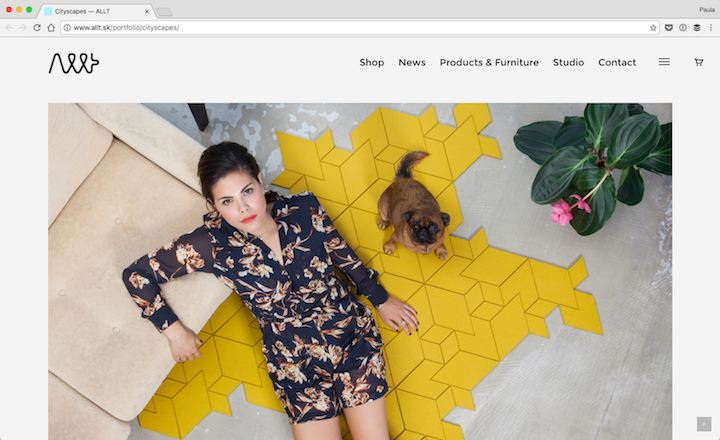 However, they also sell bigger furniture pieces such as tiled carpet sets. Some of their small kitchen accessories are fantastic, for instance their bamboo and granite cutting boards. The quality of their product design is phenomenal as well. ALLT clearly has an eye for aesthetics. The website is very light and the photography is super elegant. 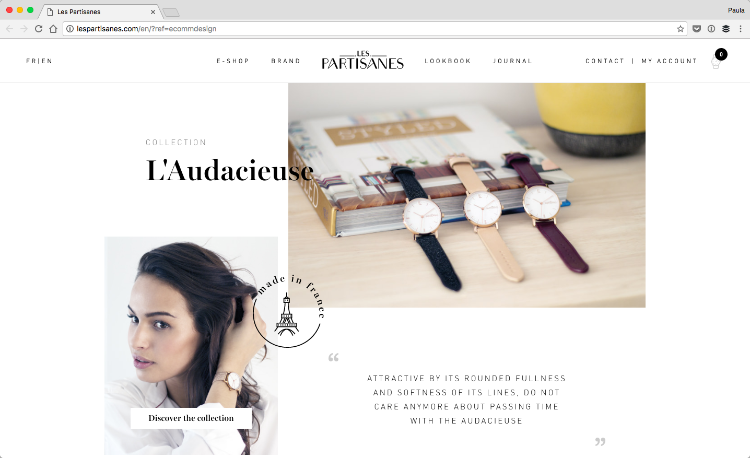 This website design shows that you can use WordPress to build something stunning and easy on the eye without much problem. 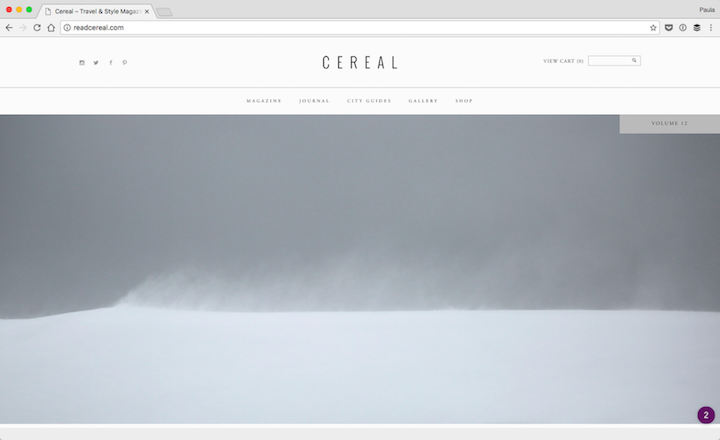 Cereal is a printed magazine that explores the most amazing and elegant places, people, and things around the world by pairing photography with stories. Each of their magazines is beautifully designed. Cereal is built with WordPress, of course. Their website is actually pretty minimal. Just like in their printed magazine, they are letting the photographs do the talking. The use a lot of light colors and shades on their website. 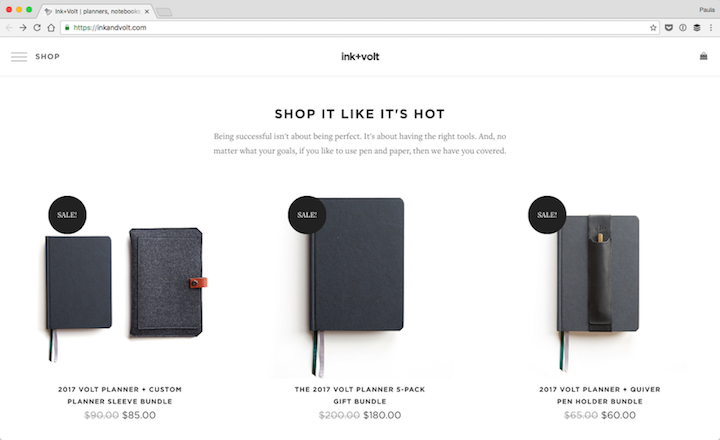 Ink+Volt sells notebooks that help people set, plan, and track their goals. Their website uses several small design details that bring their products to life. The simplest things can make for a good design. 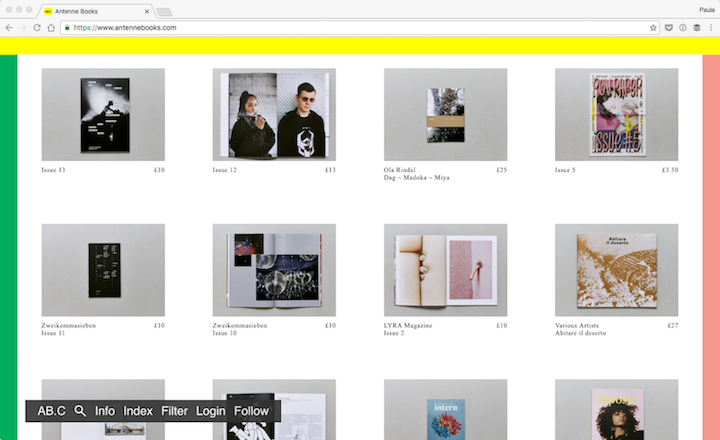 In the case of Ink+Volt, it’s their hover states, labels over the images, and the microcopy. For instance, “Customer high fives” instead of “What our customers have to say about us” is so much more pleasant. Although copywriting has little to do with the platform your site runs on, it’s still an important thing that can add a lot to the user experience. 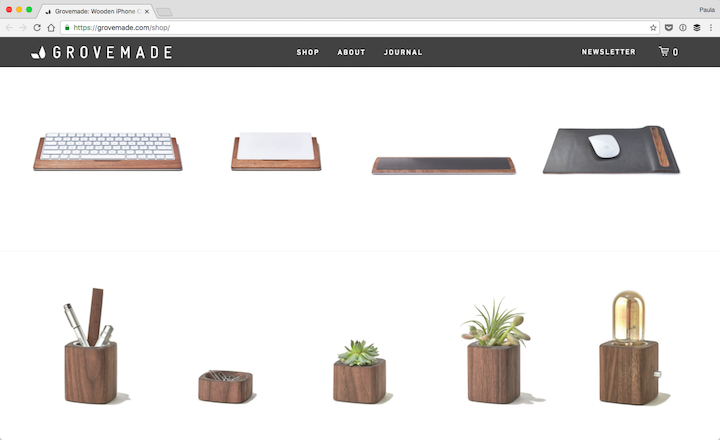 Grovemade sells wooden desk accessories. Their website focuses on showing off the craftsmanship of their products. The website uses little color. It’s mostly white, gray, and black. However, it’s also filled with many close-up photos of their accessories. It shows off the little details of their amazing creations. The website uses a straightforward layout. It’s really nothing fancy but it still looks great! This is another example of a fantastic WordPress site with a simple but powerful design. 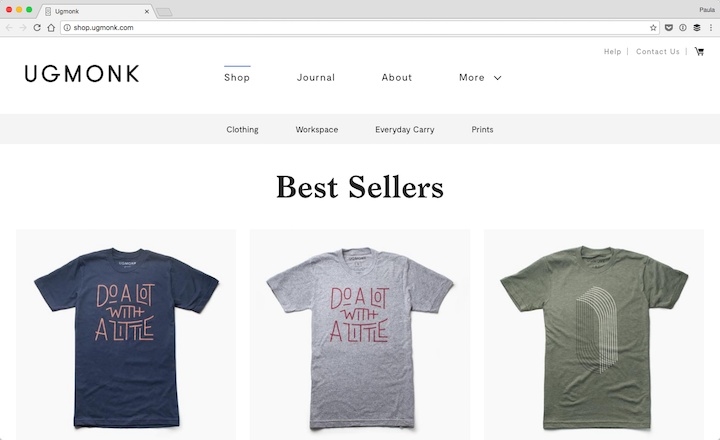 Ugmonk was created eight years ago by a web designer who had a side hobby. The company mainly sells T-shirts but they have other apparel items and accessories, too. The website design is really good. Most notably, the design feels spacious, as there is plenty of space between the elements and the photos are large as well. The site also uses larger fonts than most websites. 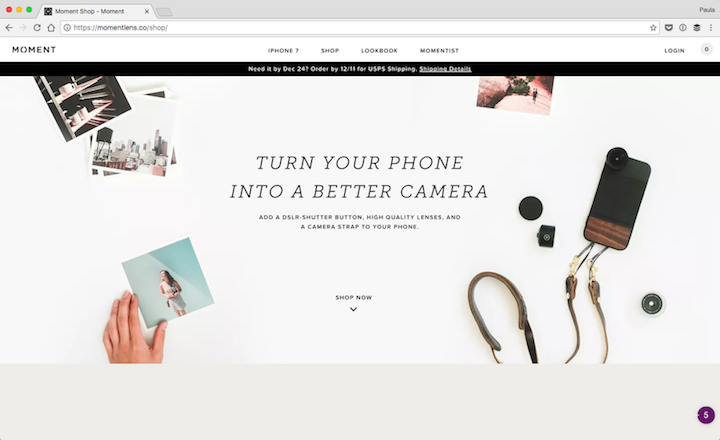 It feels quite easy to browse through Ugmonk’s catalog. 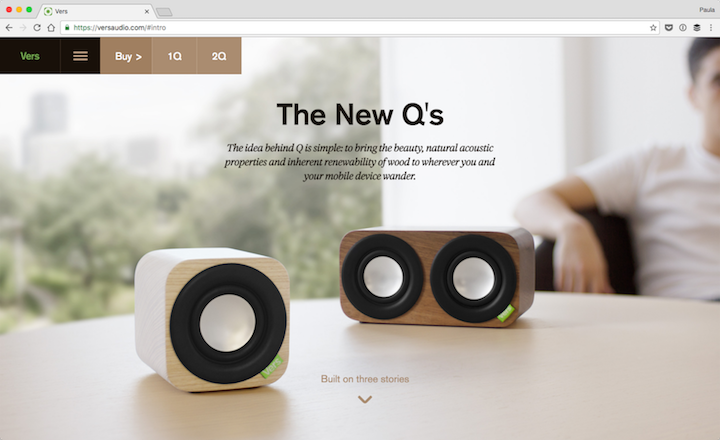 I don’t know what it is about wooden products that yield beautiful websites. But, here is one more example. 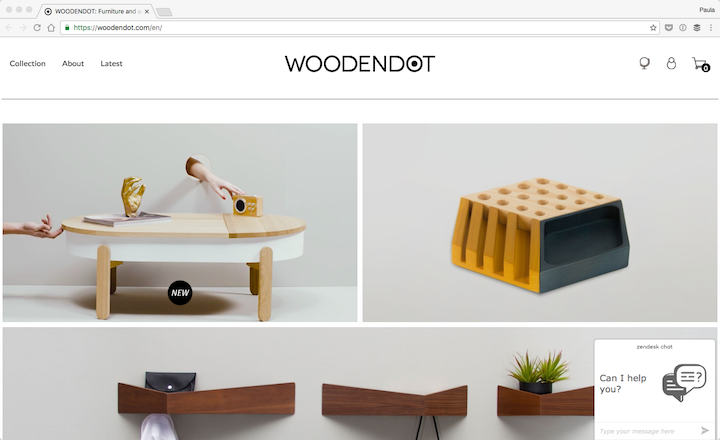 I enjoy Wooden Dot’s website design because it’s pretty simple at first glance. Then, you notice the little details that make the design creative. For instance, the gifs of product images. For instance, they show how you’d open a coffee table. It’s not something you see every day, especially on a home page. Again, this has little to do with the fact the website is built with WordPress. But, it clearly proves how little design details can make a design interesting and unique. In all honesty, this website is nothing special. Compared to some examples on this list, it doesn’t stand out too much. The reason I’m including it is to show you an example of a regular but high-converting company site. It’s easy to make a design like this with WordPress. 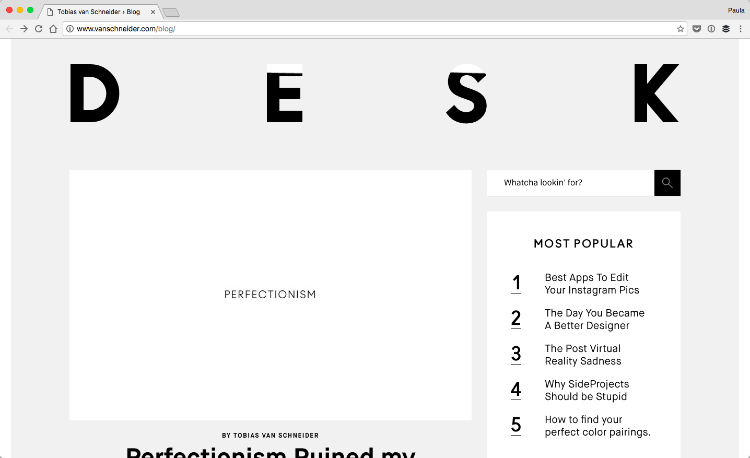 Not every website needs to be high-end, sleek, and ultra-modern after all. 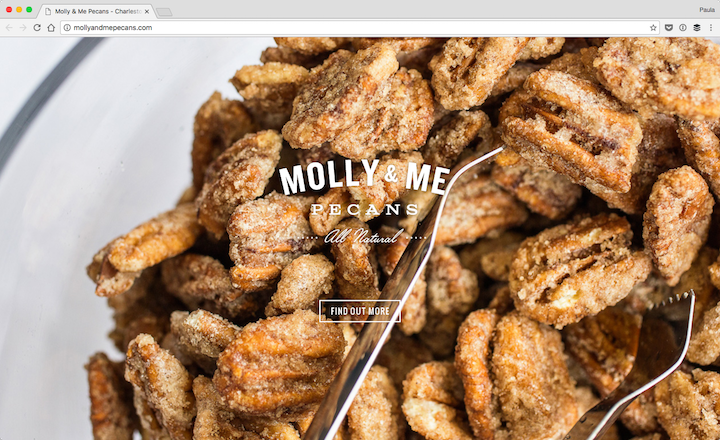 This website does a great job explaining what Molly & Me Pecans sells. Displaying photos of their beautiful package design is a great way to hook people in. In this example, a little can go a long way for a small business that needs some online exposure. Form. is a big repository of office furniture with lights, chairs, desks, and even cabinets. I enjoy this website because their products page is phenomenal. It feels like it has no end, as I scrolled in awe for 10 minutes and more and more products kept popping up. Some items are displayed in a square-shaped box, while others in a horizontal rectangle. The photos feature only the item against the same light gray background. On hover, the products are shown in different colors and their names appear on the screen as well. 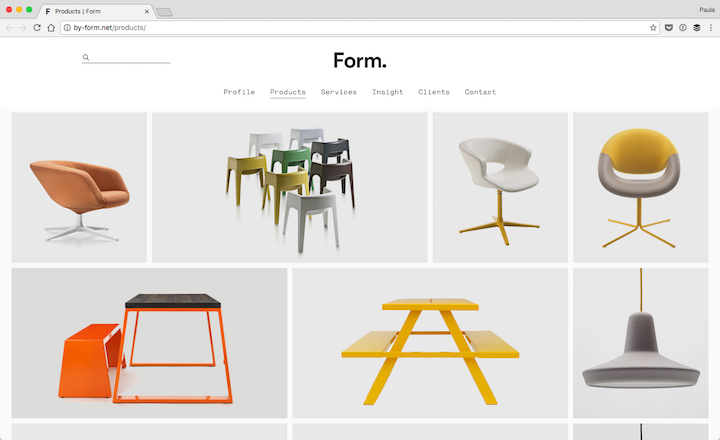 It’s a fun website with a lot of good-looking furniture pieces. There are so many different things you can design and build with WordPress. It all boils down to your imagination. Don’t let the framework or platform limit you. 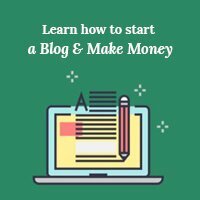 Building website with WordPress is very easy. It’s an extremely flexible platform. Hello, thanks for your post! it’s awesome! would happen to know which wordpress theme, the website number 04. Les Partisanes, is using ? Do you know any idea where i could find it ? or a similar one ? Thank you! !